Danish home retail brand, JYSK, will unveil its Outdoor Living collection for Spring / Summer 2019 at its first Irish store, which opens in Naas, Co. Kildare at 9am on Tuesday, 2nd April. JYSK has everything you need to create a beautiful outdoor space this summer, from trend-driven string chairs to colourful parasols, pretty outdoor lighting and decorative planters. For the opening, JYSK is offering even more value to Irish customers, with garden lounge sets from just €100 and up to 75% off selected items. Top picks this season include the BORDING trolley (€129), ideal for serving summer cocktails, the SEGLA garden planter (€49.99) and the BERGFINK hammock (€24.99) for hanging out on sunny days. Design lovers will also adore the stylish UBBERUP series which features string furniture in a range of colours, including lounge chairs (usually €49.99, but on offer during the opening for €35), lounge sofas (€89.99) and stacking chairs (€59.99) ideal for smaller spaces and balconies. Or for a minimal Scandi look, the VEDBY outdoor dining series (from €64.99) combines sleek white and teak, while the black BEDER series (from €129) offers minimalist design and classic style. The Outdoor Living collection also features real bamboo furniture to give an exotic and tropical look to your outdoor space for the season ahead. Key items include the BAMLE bamboo lounge chair (€59.99), the SOLOPGANG deco ladder (€15.99), and the EGEHJORT bamboo lantern (€24.99). 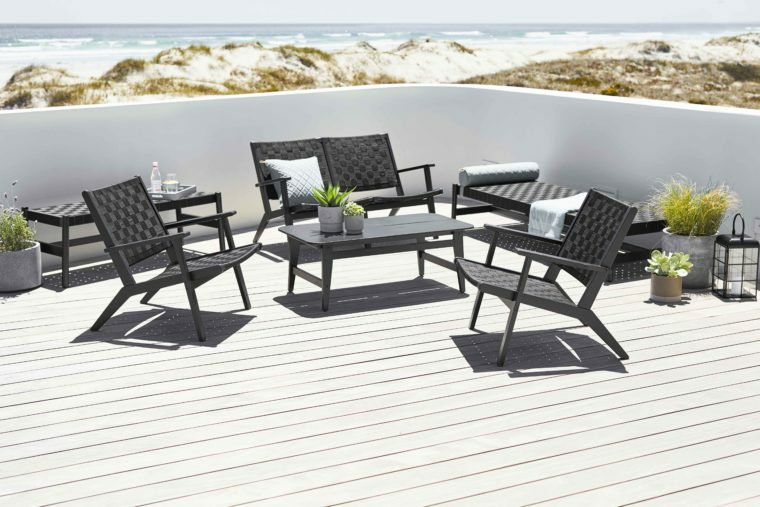 Or for those who prefer a more classic look, the GJERLEV series (from €79.99) offers an elegant black bamboo style made with extra durable materials. Founded in Denmark in 1979 by Lars Larsen, JYSK’s Scandinavian design ethic and stylish approach to interiors has made the brand known and loved across the world. JYSK is set to open 15 stores across Ireland over the next two years, with Naas opening on Tuesday, 2nd April, then Drogheda, Co. Louth and Navan, Co. Meath in June and July, and a fourth store in Portlaoise, Co. Laois opening in August. Visit the first JYSK store in Ireland at Naas Retail Park, Jigginstown, Naas, Co. Kildare from 9am on Tuesday, 2nd April to avail of special store-only offers. Customers will also be able to shop online at jysk.ie from 18th April. For further updates, follow JYSK Ireland on Facebook or Instagram.